Most people just look at mutual fund rankings looking for 4- or 5-star ratings. If they find those and see that the fund beat its benchmark, they jump right in. But it’s not that easy. I’m willing to accept 401K returns that may not quite match the benchmark if done with less risk, just as I am willing to accept returns that beat the benchmark in exchange for higher reasonable risk. Finding the right risk-to-reward ratio was one of the primary criteria I had when searching through thousands of mutual funds to find 10 I wanted for my 401K. In part one of this series, I explained that I prefer actively managed mutual funds over unmanaged ETFs for long-term holdings. It is important to me to have someone examining stocks in a given investment style on a daily basis, especially for sectors I’m not comfortable investing in on an individual security basis. 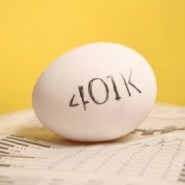 Here’s a look at five more mutual funds that make great 401K holdings. Pear Tree Polaris Foreign Value (QFVOX) was an essential addition because it handles foreign stocks, of which I have very little knowledge. I don’t want to grab any old ETF for my 401K, because most are likely composed of cap-weighted stocks without regard to how good they are as companies. But this mutual fund — oh, you can bet the managers are on top of things. In the foreign value fund category, it placed first in 2009, 2010, and 2012, and 4th in 2013. Against the MSCI EAFE benchmark, it has outperformed over every time frame at or above 1 year — almost doubling the benchmark’s return over the past 10 years. Its overall risk rating is “above average,” but the return is also “high”. That’s why I’m fine paying the 1.54% expense ratio. The minimum initial investment for QFVOX is $2,500. Top holdings include Greencore Group (GNCGY), Deutsche Telekom (DTEGY) and Teva Pharmaceuticals (TEVA). Tocqueville Select (TSELX) is my small-cap value mutual fund. I love this strategy more than any other, and its one I play in with my regular portfolio the most. This is the land of ten-baggers. While I might not hold this when I’m in my 60s, I am quite comfortable seeking out multibaggers with this outstanding fund for my 401K. Although the near-term performance is strong, it isn’t quite as good as the S&P 500. However, It has nearly tripled the performance of the index over the 15-year time frame. Above-average risk is matched with above-average return, justifying its 1.34% expense ratio. It also has a turnover ratio that is generally under 30%, which is what I want from a small cap value fund — let the winners grow. Top holdings include Flextronics International (FLEX), EPAM Systems (EPAM) and Jabil Circuit (JBL). Sextant International (SSIFX) is not a duplicate of QFVOX. The latter is a multicap fund with 57% of assets in Developed Europe and 19% in the U.K. Sextant is truly international, with a 26% Americas weighting, 14% for the U.K., 42% for Developed Europe and 13% for Greater Asia. It is a large-cap blended style mutual fund with almost no turnover at all. It’s buy-and-hold for my 401K. I chose this because Sextant is basically taking the approach of buying large, well-known companies all over the world, not just limiting itself to the U.S. I want that global diversification for this very important part of the style map. Near-term results are a bit behind the MSCI ACWI benchmark, but SSIFX beats the benchmark at the 10 and 15-year terms. I don’t mind the lower return because the overall return of the fund is “average” according to Morningstar, but carrying the coveted risk rating of “Low”. Expenses run 0.66%, and top holdings include Shire (SHPG), Novo Nordisk (NVO) and Novartis (NVS). Fidelity High Income (SPHIX) is a very basic junk bond mutual fund, with “average” risk resulting in “above average” returns. Not surprisingly, it beats the Barclays US Aggregate Bond Index because this benchmark holds all kinds of bonds, not just high-yielding stuff. Its TTM yield is 5.25%, which is well above most other bonds, and I like the yield for my 401K. Junk bonds are always a category to be cautious about, so I always have a trigger to sell this holding if we start to see issues in corporate debt. Expenses for SPHIX are 0.72%. RiverPark/Wedgewood (RWGFX) hasn’t been battle-tested yet, but I like what I see. This mutual fund was launched in 2011, beat the S&P in 2011 and 2012, and came in with a 29% return last year vs. the S&P’s 32%. So far, Morningstar ranks its risk as below average and returns as above average — always a good combination. I grabbed this fund because I wanted to fill out my 401K funds with a large-cap growth play. However, I see that there’s overlap in its top holdings — companies like Berkshire Hathaway (BRK.B), Qualcomm (QCOM) and Apple (AAPL) — with some of my other funds. I need growth exposure, but perhaps I may shift over to a midcap fund, which I don’t have yet. These funds are not meant to comprehensively represent all sectors. I also own several ETFs that are driven towards fixed income and that are intended to represent a few major indices. That way, I know I will match various benchmarks in case my mutual funds fail to do so. As of this writing, Lawrence Meyers owned all of the funds mentioned in this story. He is president of PDL Broker, Inc., which brokers financing, strategic investments and distressed asset purchases between private equity firms and businesses. He also has written two books and blogs about public policy, journalistic integrity, popular culture, and world affairs. Contact him at [email protected] and follow his tweets at @ichabodscranium. Article printed from InvestorPlace Media, https://investorplace.com/2014/09/10-mutual-funds-part-2-401k/.